In the home décor business, there’s a new job around every corner. From managing an often vast selection of stock, through to overseeing employees, there’s often simply not enough time in the day. Don’t bear the burden on your own though: instead, let AccuPOS help. With our versatile EPOS, you’ll find the jobs rushing by, leaving you more time to concentrate on your number one priority: your customers. 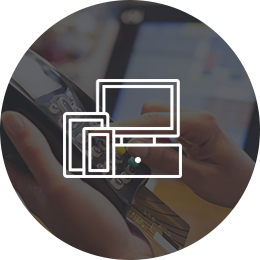 With AccuPOS Electronic Point of Sale, you don’t need to be in your store to be a manager. Instead, you’ll be able to manage your stock, change rotas and dream up new promotions from the comfort of your own home – or anywhere else you happen to be. But what does this mean for you? Well, no more long nights stuck at work, and instead the chance to get some of your personal life back. All thanks to AccuPOS EPOS. While our software contains many fantastic features, the jewel in the crown is the great accounting integration. This means no more manual entering of accounts, as AccuPOS EPOS will send all data directly to your accounting software. The result is a perfect picture of your company, which you can access and alter whenever you need to. 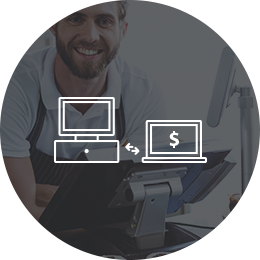 Our EPOS has been endorsed by the two giants of accounting software – Sage and QuickBooks – so you know that it is going to be the very best around. Our home décor EPOS fits around you, not the other way around. We’ll work with you to come up with a system that fits your needs exactly, analysing your transaction volumes, need for multiple screens, and every other possible factor that you feel is important. 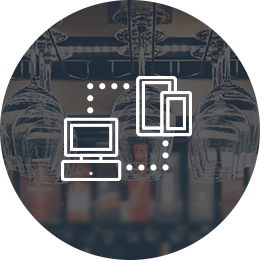 We’ll also introduce you to our mobile hardware, which means that you can make sales from absolutely anywhere, such as your shop floor or external events. We want you to succeed, and giving the perfect EPOS will help you with this goal.